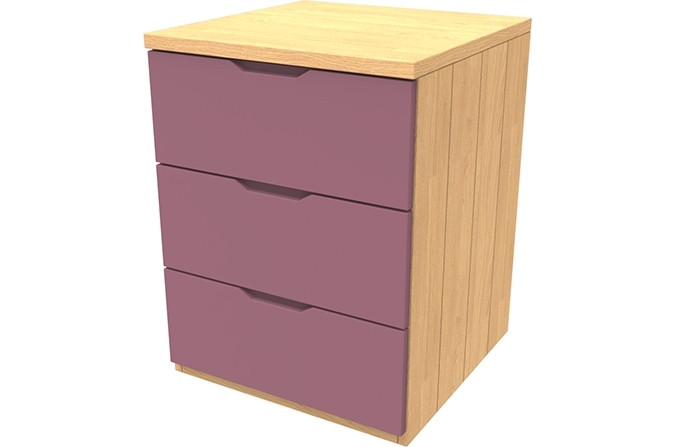 Modern and durable pink three drawer chest to match other items in the Savannah Collection. This chest has an oak veneer frame with an oak laminate worktop creating a perfect working space for books or other items. 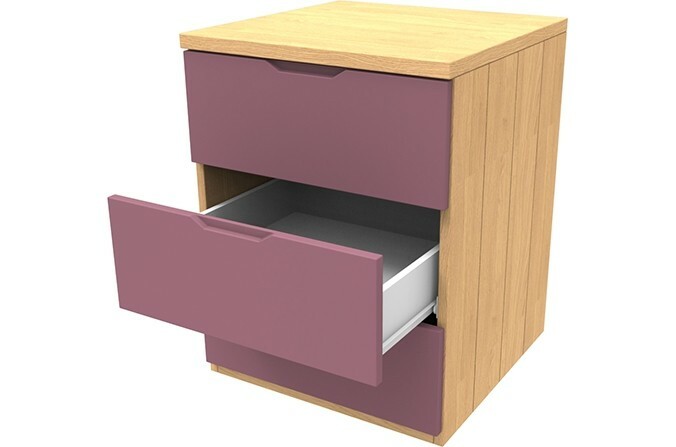 Drawers are made from MDF and painted starlight pink, perfect for a girls bedroom. Kids Pink Three Drawer Chest to match the Savannah Collection - Painted in Starlight Pink. Oak veneer tongue and groove frame with painted MDF drawers in pink. Oak laminate worktop. Also available in Arctic White and Elephant Grey.